The preservation and Protection of, and to have a positive impact on, our Planet, land, community, Pet and human family, so we may live in harmony and have balance and respect for all living things. Our land overlooks a small lake. A great place to spend time together with our dogs. 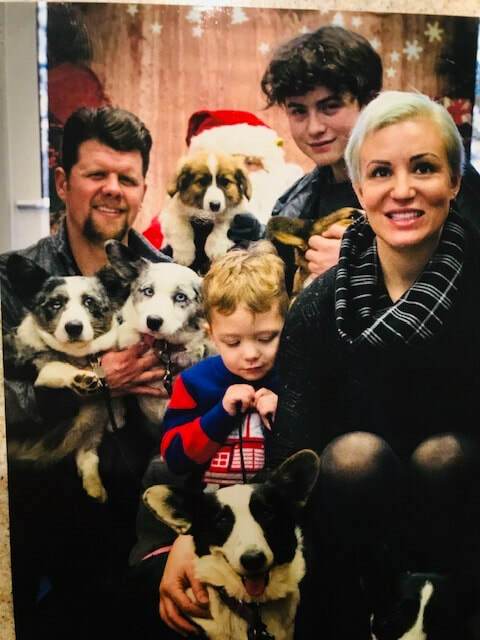 There are six dogs; Mezcal (a little chihuahua) and 5 Corgis; Dani Sue from Oklahoma; Riley Cute from the Toronto area; Misty from Alabama; and Bailey from Redding, California; then came our baby, Nalla, born in house. daughter of Dani Sue. We have rescued two cats. One is still with us, Garfield.